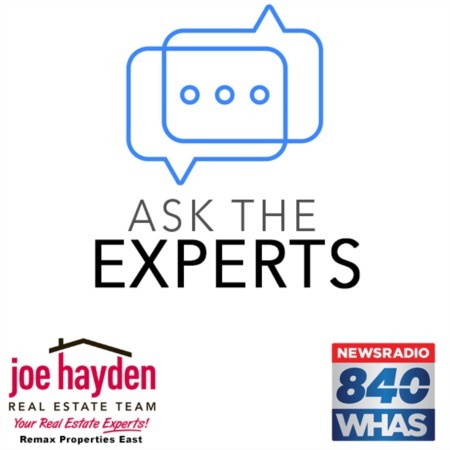 301 Bramton Road Louisville, Kentucky 40207 | Home for Sale | MLS #1374833 | Joe Hayden Real Estate Team - Your Real Estate Experts! This stylish ranch home located at 301 Bramton Road in the desirable Beechwood Village Subdivision is the epitome of St. Matthews living! 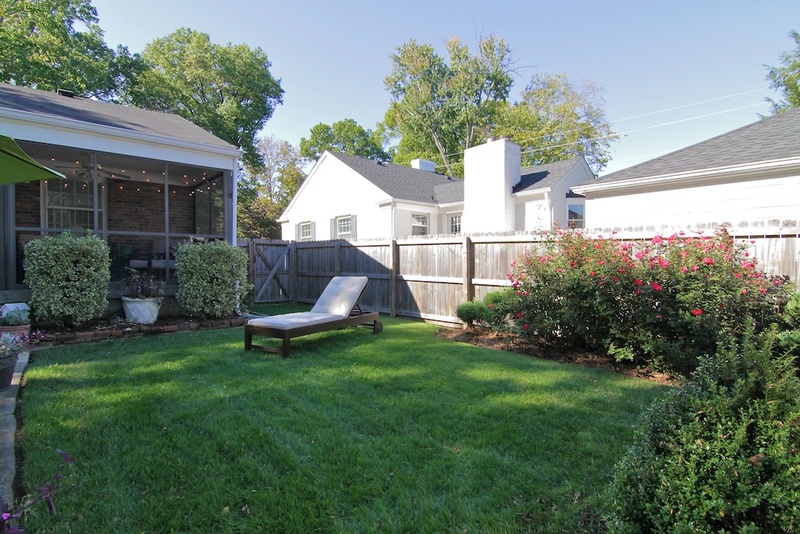 This home is situated on a large, fully-fenced corner lot that is adorned with one of the most beautiful magnolia trees in the neighborhood! The quaint sidewalk leads you and your guests to the charming front stoop, welcoming you into the foyer where you will get your first look at this wonderfully updated home. 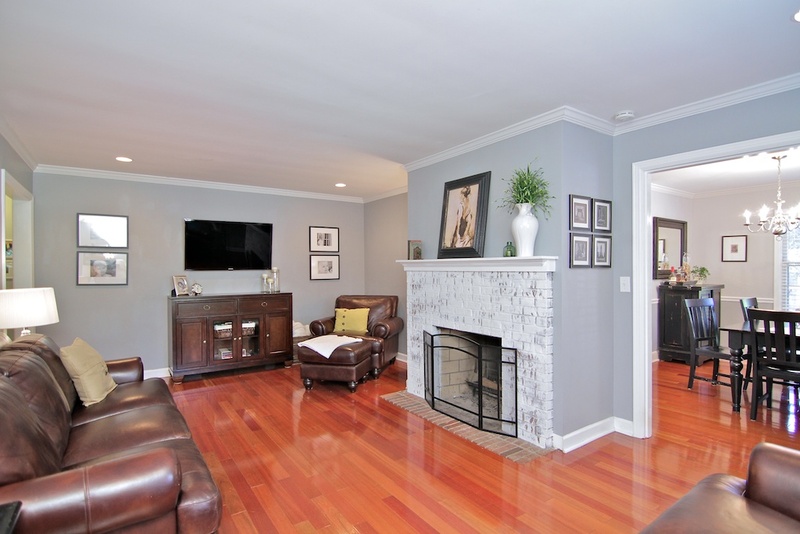 The living room has new Brazilian cherry hardwood floors with a custom finish, a neutral paint pallet and a cozy wood burning fireplace with plenty of room for seating and furniture groups. The opening beyond leads you to the formal dining room with a chandelier and ample windows for natural light. The paneled wall includes a hidden storage closet that tucks away linens, dishes and platters for entertaining. 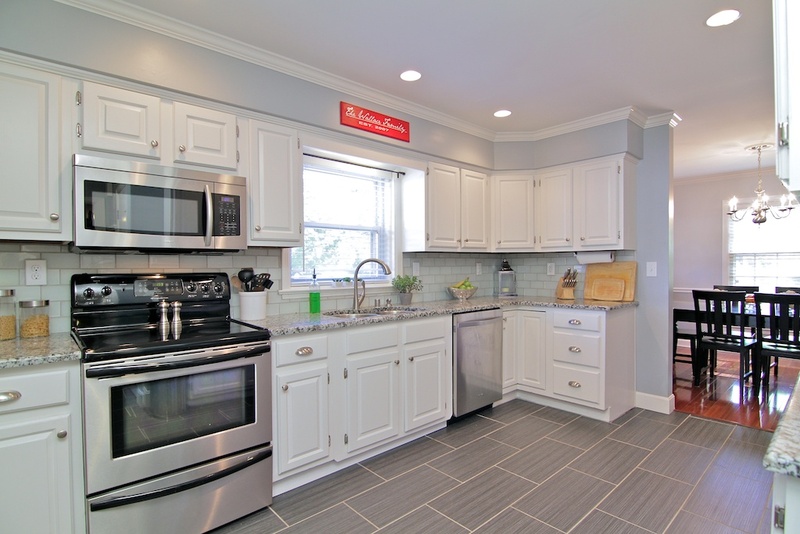 The recently renovated kitchen has new tile flooring with a slate look, custom cabinetry and granite countertops. The stainless steel appliances are accented with a cool-toned sea-glass back splash that really looks great with all the natural light. Just off the kitchen you will find the perfect spot to enjoy your surroundings in the relaxing screened in porch. The sellers have recently added a wood privacy fence to enclose part of the spacious backyard and there is a storage shed to hold lawn care items. Back inside, the master bedroom is down the hall and features a walk-in closet, plus a recently remodeled full bath en suite. The 2nd and 3rd bedrooms will comfortably fit your bedroom furniture and have nice closet space and great windows. The 2nd full bathroom has also been updated and has even more storage! 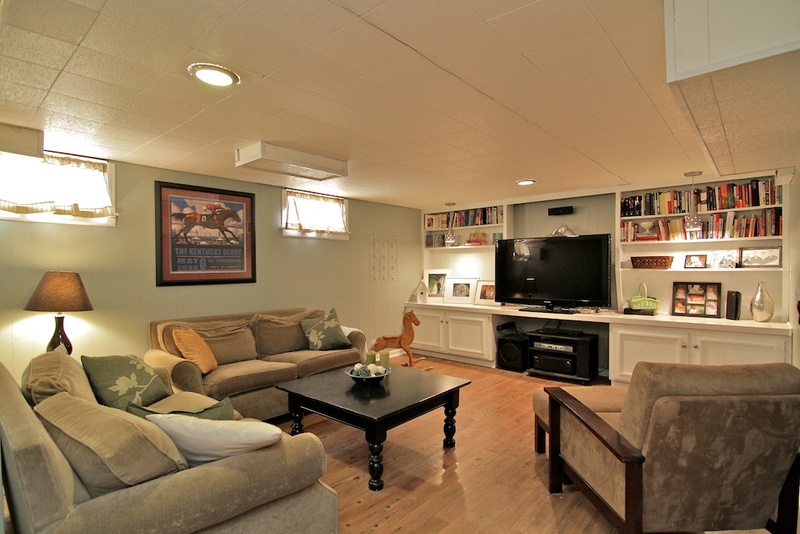 Downstairs, the finished basement is divided into two areas - one being used as an office/guest room and a play area, and the other used as a living area with built-ins for TV and entertainment. There are three unfinished storage areas in the basement as well. One at the bottom of the stairs where the laundry area is located, and the other two areas have built-in shelving and would be great for hobby storage or seasonal items. The hot water heater was replaced in 2012, and the kitchen, plus both bathrooms, were remodeled in 2012. The home also has a newer security system which features motion sensors, door sensors, smoke and heat sensors as well as a sump pump sensor. To find a fantastic remodeled home in this condition, in this neighborhood and for this price, is very rare! 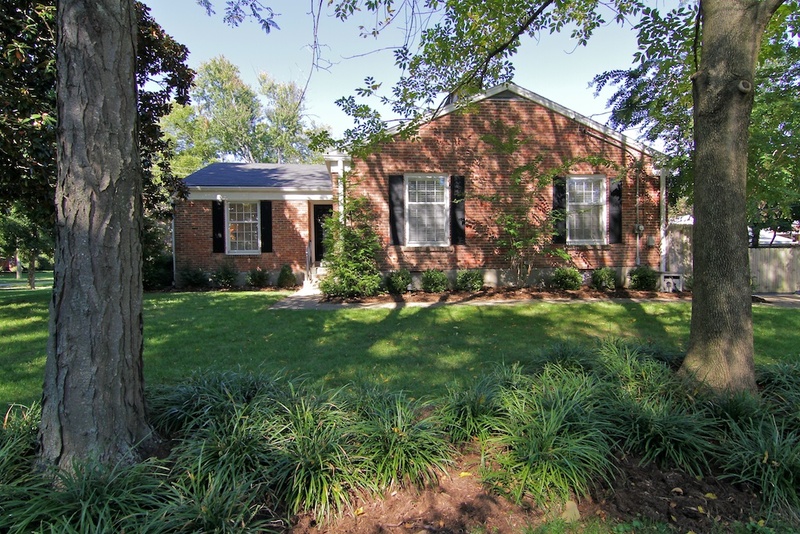 301 Bramton Road in St. Matthews is one home that you do not want to miss! Call today to schedule your private showing!